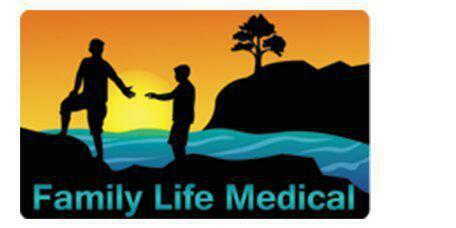 Family Life Medical always appreciates feedback from our valued patients. To date, we're thrilled to have collected 29 reviews with an average rating of 4.93 out of 5 stars. Please read what others are saying about Family Life Medical below, and as always, we would love to collect your feedback. Wait time was short! Visit was great! The staff is very cordial and helpful. I leave satisfied every visit. Dr Scarborough listens and asks appropriate questions. He clearly cared, showed empathy and compassion. I felt confident with his knowledge and attitude. Not once did I ever feel like I was being rushed through my visit. I feel the entire staff went above and beyond during my emergency visit. The receptionist and nurses were equally kind and respectful. I would highly recommend and of the Doctors at this medical practice. I have been a patient for ten years and would never even consider another practice. It's worth my time and drive to attend every time. Thank you Dr Scarborough and your entire team! Website very helpful and efficient. It was good. Didn't have a long wait. Staff and Lauran was great. Dr. Scarborough was extremely friendly and seemed concerned about my issues. He took care of everything and with a smile. Lauren Hollis is wonderful. She actually listens and asks questions to try and get a correct diagnosis. I never feel like she's rushing through the appointment. I would recommend her to anyone and everyone. Fast friendly service. Compassionate care by professionals. I had my first appointment today after recently moving back from Oregon. Family Medical and their PA, Lindsay Smith handled more for me today in roughly 30-40 minutes than what I used to have to wait sometimes up to a week at my last healthcare provider. Starting from the staff at the time when I signed in, to the medical assistant and the PA Lindsay Smith, I was totally impressed. Check out was quick and easy as well! Thank you Family Medical Care and your staff for making me a believer that you can get excellent service and healthcare in a system that I thought was broken for the last 5 years!! Wait time was minimal. All the nurses were friendly and helpful. Saw Lindsay Smith and she was through and helpful. Extremely satisfied with my visit. I always have fast service and the staff is very professional and polite. Our family loves Larissa! She is kind, compassionate and always has a smile. We ALWAYS have great visits. Awesome doctors! I usually see Dr. Scarborough, or Dr. Lindsey. Super nice and helpful! Check in is always fast & easy with the free standing kiosk. Receptionist helps you out rightbaway & lets you know if there will be a longer wait than usual. I saw Lauren this visit & she's great. Friendly, approachable & understanding. The nurses have great rapport & my phlebotomist was quick & gentle.